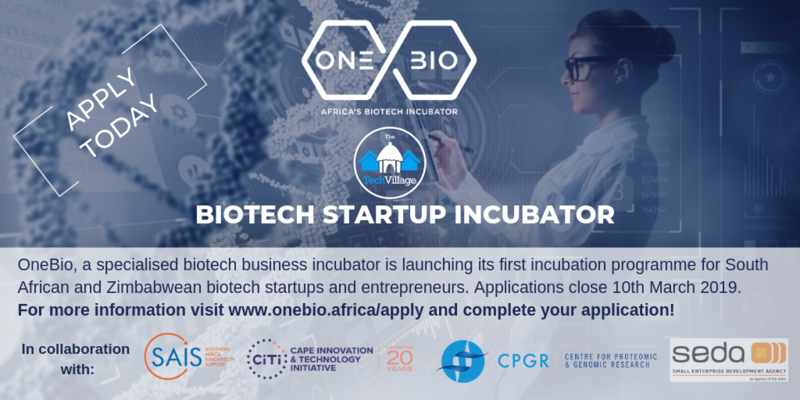 OneBio, a specialised biotech business incubator, will launch its first incubation programme for South African and Zimbabwean biotech startups and entrepreneurs. The programme will run over 6 months, delivered via three 1-week long in-person bootcamps, virtual workshops, expert coaching sessions and tailored online content. The bootcamps will take place in Cape Town, with accommodation and travel costs for startups based outside of Cape Town paid for. During the programme, startups will have access to lab facilities and co-working space, undertake excursions, be inspired at fireside chats, and be introduced to potential partners and funders. The programme is valued at over R350,000 per business and is equity free. Applications close on the 10th of March 2019.